Looking to enhance your smile with Invisalign? A lot of people are self-conscious about their smile. Everyone wants an attractive smile to leave a good impression. One alternative to traditional metal braces is Invisalign®, which allows you to maintain the natural beauty of your smile while straightening your teeth. In fact, Invisalign aligners are nearly invisible! Dr. Chaikin is a provider for Invisalign in San Diego, California, and we invite you to contact us today to learn more about this excellent treatment option. Flexibility – Those with busy schedules will find Invisalign as a great way to straighten teeth without workday interruptions. You only visit the dentist every 5 or 6 weeks to make sure treatment is going as it should. Comfort – Made of a sturdy thermoplastic, Invisalign offers a less invasive treatment than traditional metal braces. There may be some initial tightness as you move from tray to tray, but after your mouth acclimates to the appliance that discomfort leaves. Easy Maintenance – You can easily practice good oral hygiene while using Invisalign. You just remove the trays before eating then brush and floss before replacing them. Other than daily cleaning of your trays, there is no additional maintenance required. Appearance – Invisalign trays are completely clear, so you can straighten your smile without affecting your appearance. With treatment up to 2x faster, you’ll be smiling in no time. 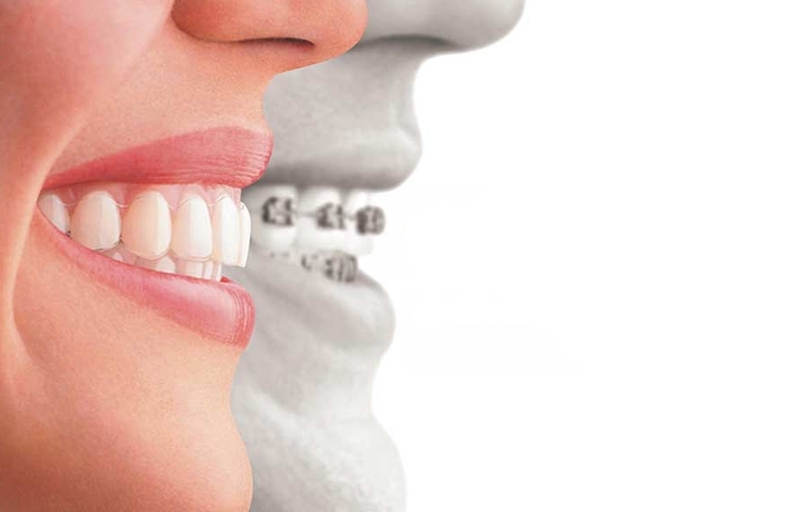 While Invisalign and traditional metal braces are both designed to correct malocclusion (bad bite) and misalignment, they have a number of differences that can make one or the other a better choice for you. Invisalign uses no metal parts, only clear aligner trays that gradually shift the position of your teeth. Invisalign also is removable and inconspicuous, appearing nearly invisible when worn. Both options can address a wide range of orthodontic concerns; however, certain complex treatment plans may be better suited to correction by traditional braces than by Invisalign. Our elite team will help you determine the best course of action, with your care, comfort, and results upheld as are our highest priorities. It is a simple process to get Invisalign. 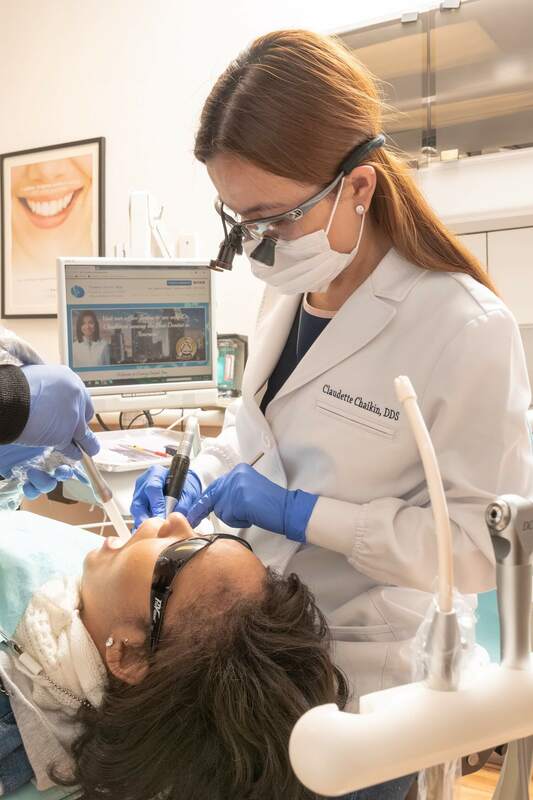 During the initial visit at Convoy Dental Arts, Dr. Claudette Chaikin will take 3D images of your jaw and dentition while making a special digital impression of your teeth. These digital impressions will be used to plan your treatment, determine the required length of the treatment plan, which can vary from 20 to 29 sets of trays per arch. After the creation of your trays, you will return to Convoy Dental Arts for a final fitting to make sure your trays fit like they should. You will be educated in regards to your treatment plan so you can take care of your aligners and properly clean them. After you receive your trays and have been educated, you can go home or to work. Now is the time to take the next step in correcting your smile. Contact Dr. Chaikin and the team at Convoy Dental Arts to learn how Invisalign can help your smile. Schedule an Invisalign consultation today with Dr. Chaikin. 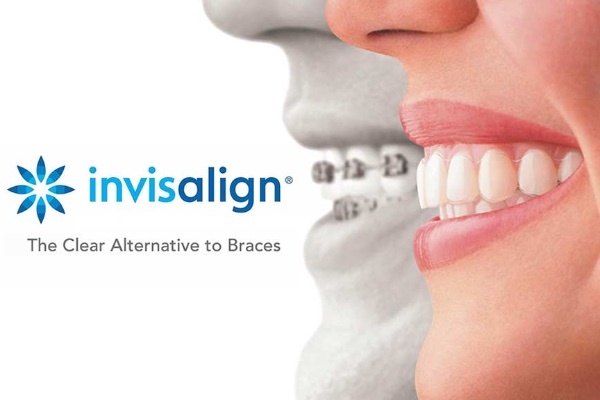 Invisalign® is a great choice for our patients who are searching for a more discreet orthodontic treatment option. 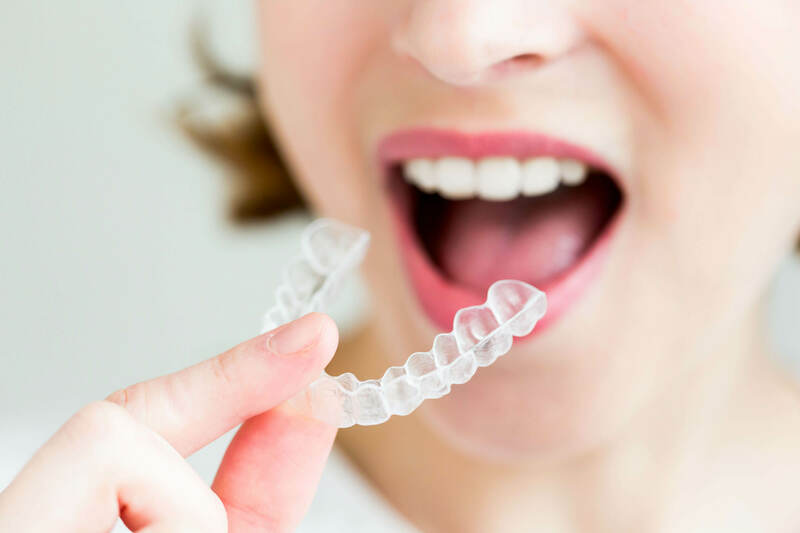 Rather than using metal brackets and wires like traditional braces, the Invisalign system uses a series of custom-made, computer-generated plastic aligners to straighten your smile. Dr. Chakin is fully trained and is a provider for Invisalign in San Diego, CA.